About a year ago, I stumbled upon a Groupon deal that seemed to good to pass up. It was a case of wine for some crazy discounted price and I decided to take a chance and order. 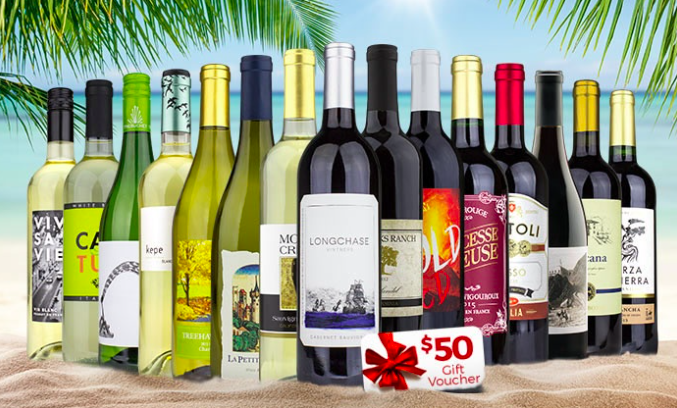 I ordered a case of 12 bottles – 6 reds and 6 whites and the Groupon gave me something like 75% off. I figured the wine wouldn’t be good but the price made it worth the risk. Here I am a year later, and I regularly order from Heartwood & Oak. In fact, it’s where I get all my wine. (Gotta love that you can now get wine delivered in PA!) They regularly have sales that are fabulous and I love the opportunity to try different types of wines that I wouldn’t usually try. You do pay for shipping no matter what deal you find, but it still ends up being a great discount – I think the most I’ve paid ends up being about $10/bottle. Check them out if you’re a wino like me! Be sure to look them up on Groupon too as there always seems to be a good deal from Heartwood & Oak on there.